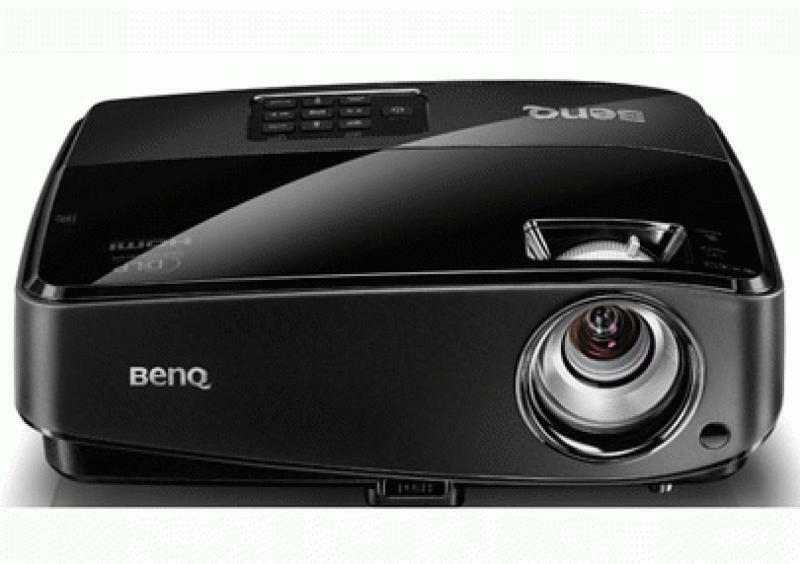 BenQ recently announced that its next-generation MS517, MX518, and MW519 SmartEco projectors for small- to medium-sized spaces are available now. Featuring increased brightness of 2800 ANSI lumens, an improved contrast ratio of 13000:1, longer lamp life up to 6,500 hours, and SVGA (MS517), XGA (MX518), and WXGA (MW519) resolutions, the new projectors support 3D Blu-ray via HDMI 1.4 and NVIDIA 3DTV Play (MW519) for home entertainment, business, and education applications. • See reviews in our Video Projector Review section. The projectors' SmartEco technology reportedly provides 6,500 hours of lamp life. In SmartEco mode, the MS517, MX518, and MW519 automatically adjust the lamp power to maximize power savings by delivering the best contrast and brightness performance using only as much light as needed. To further reduce power consumption, a "no source detected" mode automatically lowers brightness to 30 percent when no display has been detected for more than three minutes. With "Eco Blank" mode, users can blank screens when not in use to lower light source power consumption to only 30 percent. The MS517, MX518, and MW519 feature a fast cooling time to minimize the risk of heat damage. If the projectors are accidentally switched off, an instant restart feature provides users with a 90-second period to turn them back on. Sporting a piano black finish, the SmartEco projectors utilize DLP BrilliantColor to eliminate the need to clean messy filters and reduce total cost of ownership. The MW519 boasts support for NVIDIA 3DTV Play. This allows users to connect their laptop or desktop equipped with NVIDIA 3D Vision to the projector and experience gaming and other content at HD resolutions. Available now, the BenQ MS517, MX518, and MW519 retail at $449, $549 and $649, respectively.